Your invited to watch SaltwaterFishing 24/7's seasoned editorial staff, expert pro staff, and hard fishing field staff, expose thier hard earned tricks of the trade. Watch as the offer up fishing tips and tactics about rigging, bait, boat control, gear, and just finding fish, that will help you put more fish in the boat next time your on the water. Saltwater Fishing Introduction - One Site - That has it all... Information, Products, Video, Expert Advice and more... SaltwaterFishing247.com - Helping you catch that fish of a lifetime. 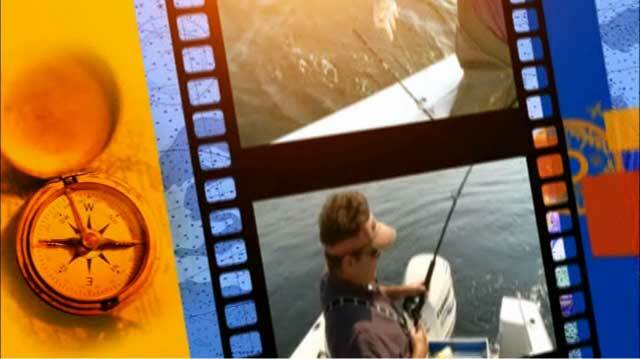 Saltwater Fishing Introduction -- Saltwater Fishing Introduction - One Site - That has it all... Information, Products, Video, Expert Advice and more... SaltwaterFishing247.com - Helping you catch that fish of a lifetime. Setting A Gill Net In A Current -- Capt. Dave Griser gives up some tactics on how to effectively set your gill net in moving water to help you catch more bait. Rigging A Three-Way For Bait Fishing -- Capt. Dave Griser shows how simple it is to rig a three-way on your bait fishing set up and get your bait down where it needs to be. Leaving Chunks For Big Striped Bass -- Capt. Dave Griser explains how leaving down the chunks of bait that have been hit by Bluefish, can result in some big Stripers.